Hi Caroline, jellyfish are cool. Did you know there are over 1000 different kinds? 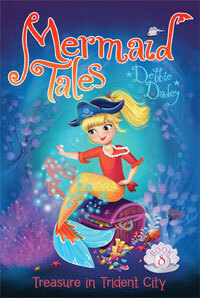 In book 8 (comes out this summer) of the Mermaid Tales series, Rocky wears an upside-down jellyfish for a pirate's hat. Melissa, dolphins rock! Hi Hannah, I will look forward to the summer when I can see a mermaid. Genavieve, I usually answer the next morning. It took me longer because I was in a cabin in the Smoky Mountains for a few days and it didn't have the Internet. I think a Mermaid Club is an awesome idea. In fact, here are some ideas to help. I have seen some mermaids, but they didn't tell me for sure if they were real! 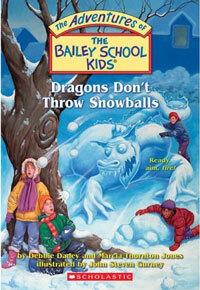 Mariah, I'm so glad you like the Bailey School kids books and the first Mermaid Tales. 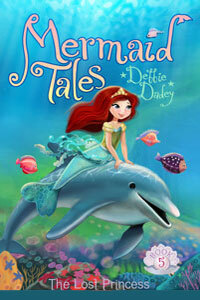 Since you like dolphins, you might like The Lost Princess. 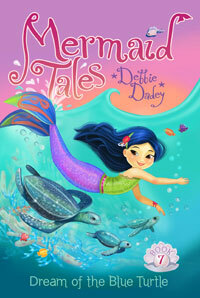 The newest Mermaid Tales is about Echo. It's The Secret Sea Horse. In it, Echo wants a sea horse for a pet-just like I always wanted a horse.